One Workstation, Nine Generations of Korg Sound. 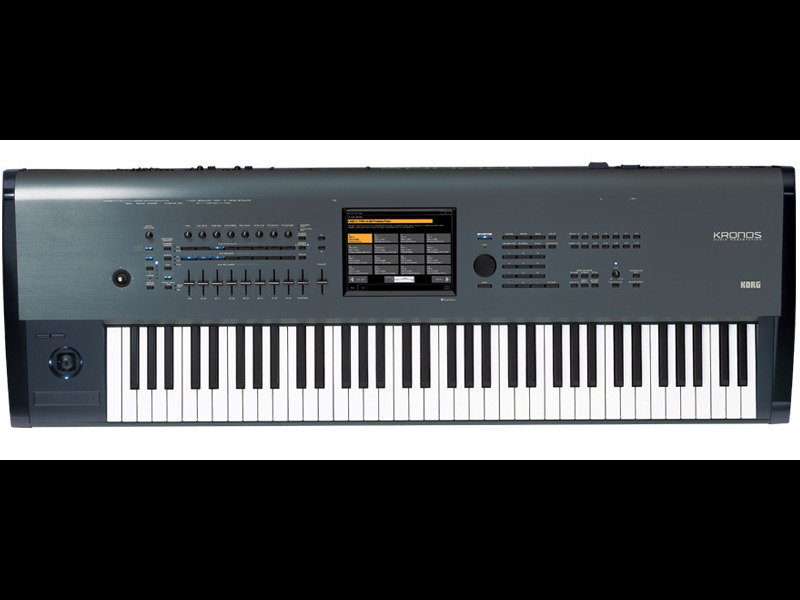 Loaded with amazing sounds, powerful performance tools, and everything you need to create master-quality tracks, there's little wonder why Korg's second-edition Kronos is the keyboard workstation of choice for A-list artists like Jordan Rudess and Derek Sherinian. 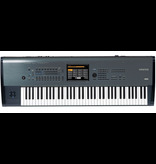 Among its nine pro-quality sound engines, you'll find everything from premium piano models, classic EPs and organs, and a plethora of synths cultivated over decades of development. Between its tactile controls and oversized touchscreen, you couldn't ask for an easier system to navigate, and since it's all housed in a sleek aluminum body with classy wood ends, your Kronos is ready to travel wherever you next gig may be. From acoustic instruments to gritty analog synths, the Korg Kronos's nine synthesis engines can provide every sound you need. Simply put, if you took any of these individual synth engines and loaded them into an independent keyboard, you'd have a perfectly legitimate instrument most professional performers would be happy to play. All put together, this multi-faceted synthesis environment lets you access thousands of sound and layer them into rich and engaging music beds. This lets you play deep and complex sound and full instrumental arrangements, all without the need to switch presets or pre-record backing tracks. Check out these amazing synthesis engines! • and soooo much more! • Dimensions: 40.94" x 14.33" x 5.28"